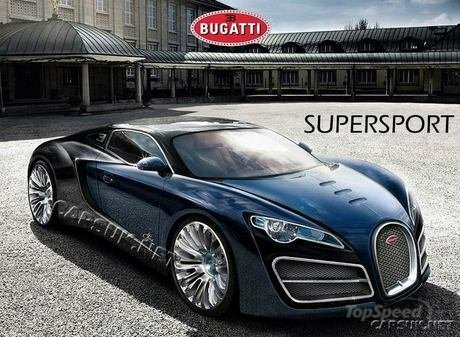 A rendering of the future Bugatti Veyron SuperSport has leaked onto the internet. The supercar is equipped with a 8.0-liter W16 quad-turbocharged engine that delivers 1200HP and can reach 0 to 60mph in 2.2 seconds. The top speed on this car is 264mph. The Veyron SuperSport will be limited to only 30 units, and carry a price tag of $2 million. Bugatti will also offer a naked carbon fiber body option that will add another 100,000 euro ($122,000 at the current rates) to the car’s price. The Bugatti Veyron SuperSport will make its official debut in August at the Pebble Beach Concours d’Elegance.